However, most organizations aren’t prepared for this kind of performance management. Of the HR leaders surveyed, 62 percent are struggling with how to build up competency in feedback and coaching skills. 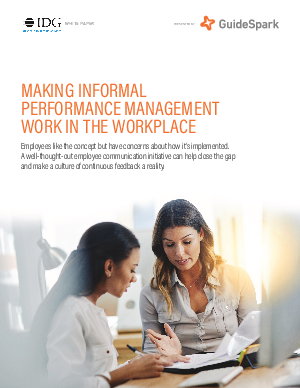 Is your organization ready for informal performance management? Make your performance management perform better for your organization.